Obituary for Jean E. (Riffle) McGraw | Matthew X Merlin Funeral Home, Inc.
Jean E. (Riffle) McGraw, 81, of Derry, PA died Monday July 16, 2018, at UPMC Presbyterian Hospital surrounded by her family. She was born March 3, 1937, in Derry, a daughter of the late Daniel and Margaret (Vogle) Riffle. 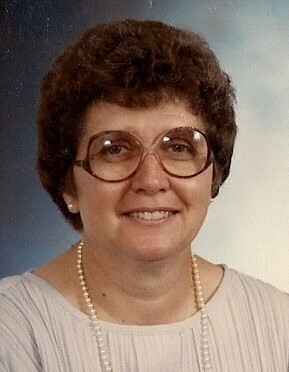 Prior to retirement Jean worked at Torrance State Hospital. She was the past President of the St. Joseph Altar Rosary Society, member of the Catholic Daughters of America, and the Ladies Auxiliary Derry Volunteer Fire Department. Jean Volunteered for the Girls Scouts, Brownies, Boy Scouts, and the Derry Patriots Drum and Bugle Corps. She enjoyed sewing, cross-stitching, and ceramics. Besides her parents Jean was preceded in death by her husband Donald R. McGraw in 2013, one son Ray McGraw, four sisters Mildred Stiffler, Ruth Oakman, Adella Leasure, and Mary Lou Burd, and one brother Robert Riffle. Jean is survived by her two children Donald McGraw and wife Sandy of Derry and Margaret Lowman of Derry; one sister Evelyn Kestner and husband Gilbert of FL; three grandchildren Jessica and husband Brian, Brittany and Ashley; great granddaughter Cora; her dog Sammie and also several nieces, nephews, and friends. Family will receive friends for Jean’s Life Celebration on Friday July 20, 2018 from 2-4 and 6-8 PM in the Matthew X. Merlin Funeral Home, Inc. 529 N. Chestnut St. Derry. A Mass of Christian Burial will be held for Jean 10:00AM Saturday July 21, 2018 at the St. Joseph Roman Catholic Church, Derry with Rev. Samuel R. Lamendola as Celebrant. Interment will follow in the St. Joseph Cemetery, Derry Online condolences may be made to www.merlinfuneralhome.com.